A ceramic exhibition of some of my new artwork will be on display as part of the Bundeena Maianbar Art Trail exhibition. 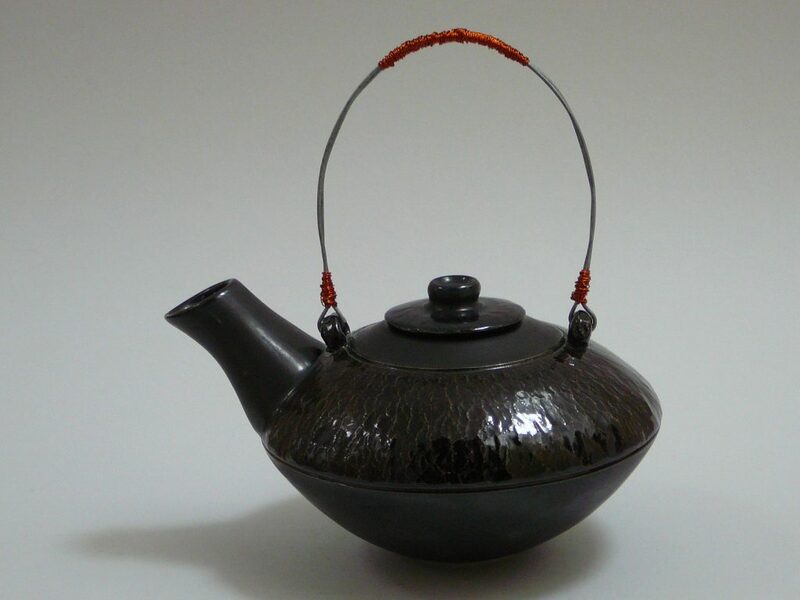 For students who have taken our introductory One Session Wheel Throwing and One Session Wheel Turning courses we are now offering an advanced pottery wheel class which will allow you to throw your own teapot! You maybe wondering what our students get up to at our pottery courses. Well you can now see first hand in our Potters Hall of Fame where you can meet our budding potters and their creations! Channel 7’s Sydney Weekender came down to do a feature on Something at Mary’s pottery classes. Click the play button to see all the smushing good fun! 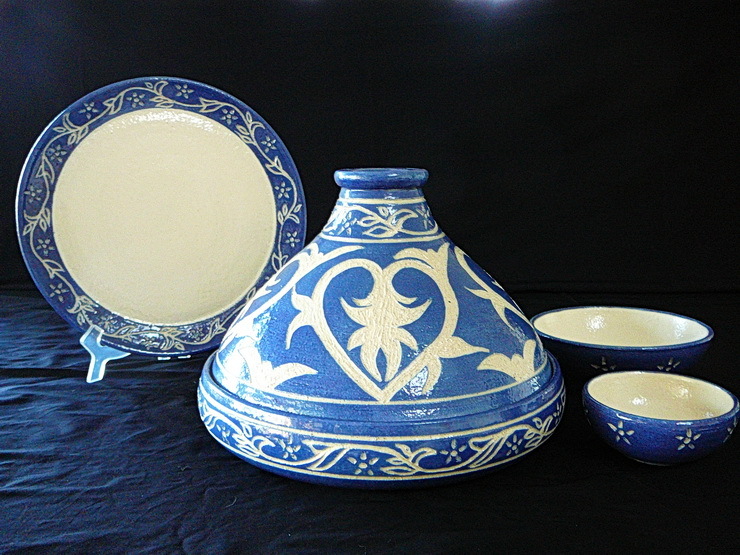 In this pottery wheel throwing demonstration Marion transforms a block of clay into a stunning tagine lid. 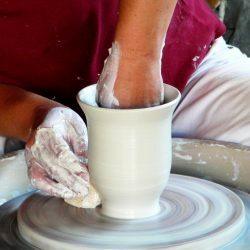 Interested in learning to throw on a potters wheel? 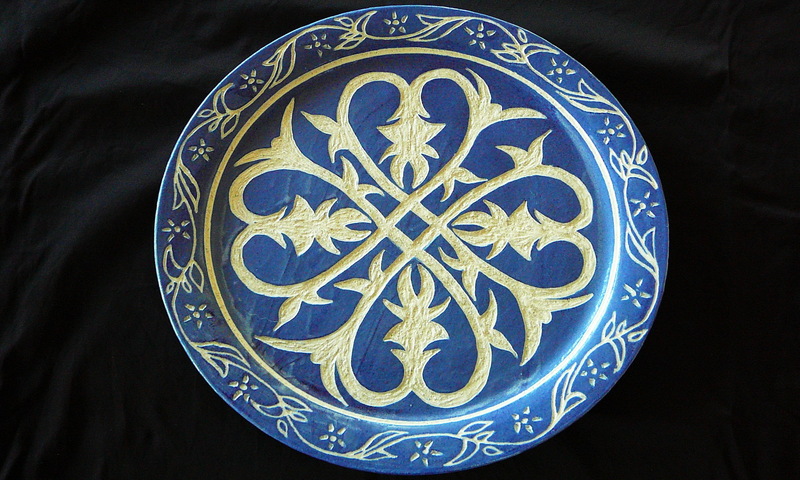 Pottery is much more than a decorative item. 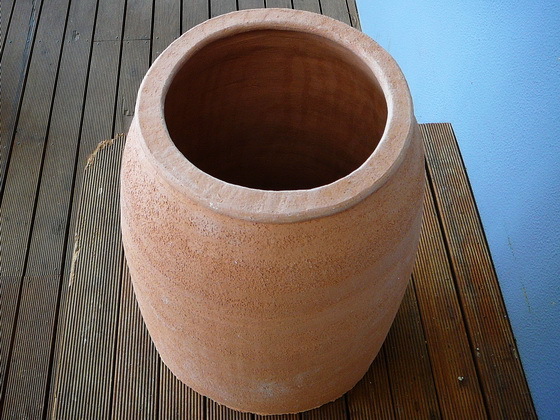 After all the origins of pottery goes back thousands of years to when they were first used to carry, prepare, cook and serve food. 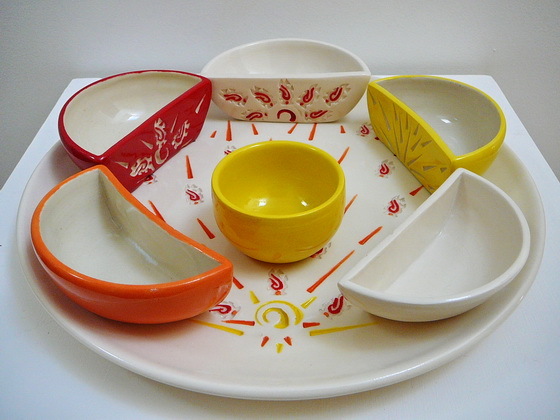 The monthly tapas night at Bundeena’s Fringe Cafe is featuring our new tapas platter collection. In this demonstration we show how inking can be used to highlight crazing.